Take a short trip across the Norwegian central mountains by train on one of the world’s most scenic train lines between Bergen and Oslo. Enjoy the beauty of the UNESCO World Heritage Listed Nærøyfjord, and the famous Flåm Railway. A stay on the Aurlandsfjord will give you some time to soak in the local culture, food and fresh air. Continue over the highest point on the railway line at Finse before heading down towards Norway’s capital, Oslo. Enjoy a stroll in the Vigeland Sculpture Park and climb onto the roof of the spectacular Oslo Opera House. Discover the beauty of Norway’s Western Fjords on this six day adventure. Start in the tranquil town of Stavanger before heading on a cruise into the Lysefjord. Enjoy a two hour hike to the spectacular Pulpit Rock perched high above the fjord. 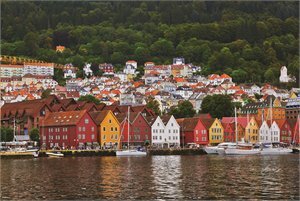 A ferry will take you between skerries and islands to Bergen where you have time to explore Bryggen, the old Hanseatic wharf and enjoy a seafood meal at the local Fish Market. The day trip via Myrdal and Flåm on the famous ‘Norway in a Nutshell’ route is a highlight, experience the steep Flåm Railway and the Nærøyfjord. Spend a short week in the Lofoten archipelago. Explore the area and discover its hidden beaches, steep mountains, colourful villages and the enigmatic sight of the midnight sun. Stay in the cosy comfort of a ‘rorbu’, a refurbished fisherman’s cottage on stilts over the water. Visit the Lofotr Viking Museum in Reine. When the weather is good you can row a Viking ship, shoot with a bow and arrow and partake in a Viking feast. Drive out to little fishing villages and take in the picturesque views from lookout points. Uncover scenic Norway on this excellent self drive experience. This journey starts in charming Trondheim; discover the Nidaros Cathedral and the trendy neighbourhood of Bakklandet. Drive along the coastal Atlantic Road which snakes itself between islands on the outer Norwegian coast. It is considered one of the most beautiful stretches of road in the world. 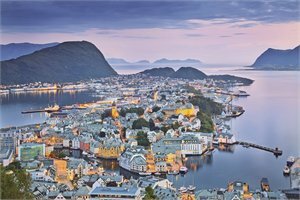 Navigate the hairpin bends of the steep Troll Road as you make your way to picturesque Ålesund. Travel along fjords and small charming villages to the inner reaches of the Fjærlandsfjord where you can visit the Bøya Glacier and soak up the beautiful surrounds. Ride on the scenic Flåm Railway before travelling on to the delightful town of Bergen. Start your tour in Norway’s capital, Oslo. Wander through Vigeland Sculpture Park and explore the hidden gems of this great city including Akershus Fortress and the many harbour side restaurants along Aker Brygge. Traverse the mountains to visit the traditional Stave Church of Lom and the magnificent Lusterfjord and Sognefjord. 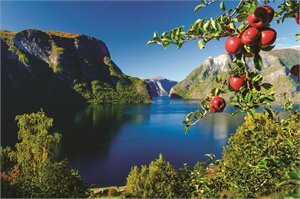 In the peaceful town of Aurland go hiking and enjoy the harbour area with unspoilt views of the fjord and gardens. Ride the steep Flåm Railway and take a ferry to Bergen. Discover Bryggen, the old Hanseatic wharf, before riding on the funicular to the top of Mt Fløien. This 11 day adventure begins in the exciting capital of Norway, Oslo. Explore the city and see the sights including Vigeland Sculpture Park, the Oslo Opera House and the Holmenkollen Ski Jump. 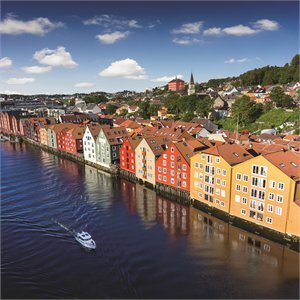 Join the Norway in a Nutshell tour and travel across from Oslo to Bergen by train on one of the world’s most scenic train lines. Experience the breath taking Flåm Railway, the Aurlandsfjord, the narrow Nærøyfjord, the steep hairpin bends of Stalheimskleiva and the scenic Bergen Railway. 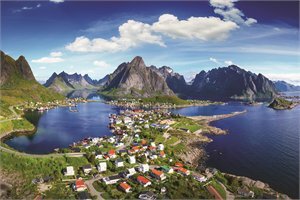 Embark on your Hurtigruten Voyage and cruise north along the Norwegian coast. See spectacular fjords, towering cliffs and impressive waterfalls. Cross the Arctic Circle; in summer enjoy the ‘midnight sun’ and in winter look out for the elusive Northern Lights. Explore the countryside of central Sweden on this short five day escape. Spend two nights in a cabin on a private island no bigger than a football pitch. During your stay in the lake-studded farming region around Ockelbo, discover small towns, forests and lakes at your leisure. There are endless nature trails and plenty of local wildlife to see. 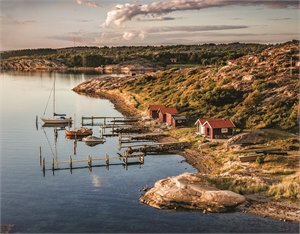 Discover southern Sweden at your own pace on this self drive journey. 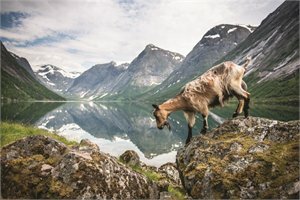 This region is visited by few non-Scandinavians and will give you the perfect opportunity to miss the crowds and lose yourself among the locals. Start in Gothenburg, home to the famous Liseberg Amusement Park, and drive north along the picturesque Bohuslän coast. Visit Fjällbacka, a tranquil seaside town, admire the brightly coloured houses and enjoy a meal of local Swedish crayfish on the pier. Head inland to Dömle Herrgård and stay at traditional manor house in the lake district. Spend two nights in the village of Tällberg located on the shores of Lake Siljan. This charming town has provided artistic inspiration to artists and writers for centuries. The Lake Siljan area has an abundance of forests, lakes and rivers, providing plenty of opportunities for outdoor recreation and relaxation. Embark on a royal adventure. 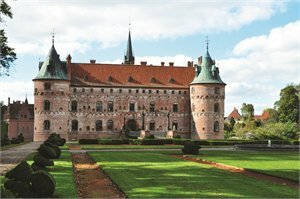 This independent self-guided drive combines the Kingdom of Denmark, one of the oldest monarchies in the world, and Denmark’s great gastronomy. Start this five day journey with two nights in Copenhagen; discover the city squares, bicycle friendly streets and colourful Nyhavn. Be sure to sample some wonderful Danish cuisine, with everything from small cosy pubs to Michelin starred restaurants. Brush with royalty and watch the changing of the guards at Amalienborg Castle. 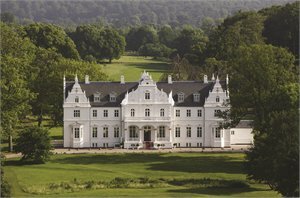 A short drive north of the city centre is beautiful Kokkedal Castle. Take the scenic route along the coast and pass royal golf courses, marinas and lovely estates. Stay two nights at the elegant manor and explore its stately salons, verdant parkland and Nordic cuisine. Immerse yourself in the stories and history of the Vikings as you follow Denmark’s Viking trail. Begin in Copenhagen, with a private walking tour. Visit the National Museum for an insight into Denmark’s aloof past and see treasures such as Viking jewellery, coins, weapons and rune stones. In Roskilde find the Viking Ship Museum and Roskilde Cathedral, where the notorious Viking King Harald Bluetooth was buried. See the impressive ring fortress and the ancient archaeological wonders of the Museum of the Viking Age in Trelleborg. In summer, wander through the terrific Viking market. On the island of Funen visit Ladby Viking Museum, where a 20 metre Viking warship was discovered. Taking this tour to the eastern parts of Finland is like taking a trip into the heart of Finnish identity. Deep green forests, rolling hills and glittering lakes cover most of this area. 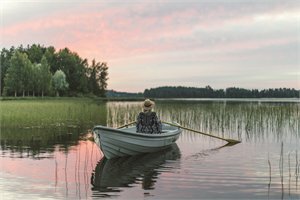 Stay in Mikkeli and learn about Finland’s war history, stroll through the nearby forest or venture out on the lake by rowboat. When in Joensuu indulge in local Karelian food and travel further east to admire the beauty of Koli National Park. In Kuhmo, spend a night in a hide observing brown bears in their natural environment. 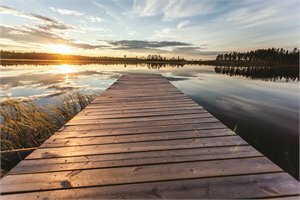 Taste local produce at the bustling Market Hall in Kuopio or pay a visit to Puijo Observation Tower for some of the best lake views in Finland. This short break in Iceland will make you want to go back for more. Discover vibrant Reykjavík; enjoy the city’s thriving coffee and restaurant culture and explore the country’s best art, theatres and architecture. See the highlights of the Golden Circle including the magnificent Gullfoss Waterfall, the furious geyser Stokkur and the UNESCO World Heritage Listed Thingvellir National Park which is home to the old parliament of Iceland. Marvel at the scenic fjord, Hvalfjörður, and the most powerful hot spring in Europe, Deildatunguhver. Visit the man made Langjökull ice cave and soak in the soothing warm waters of the Blue Lagoon. Explore the Arctic island of Iceland at your own pace and follow the coast along the Ring Road to discover this amazing country. Experience a spouting geyser, admire numerous thunderous waterfalls, uncover impressive glaciers and relax in hot springs. Venture into Skaftafell National Park and walk through a wonderland of glacial ice sculptures, meander across ice ridges and the deep crevasses of a glacier. 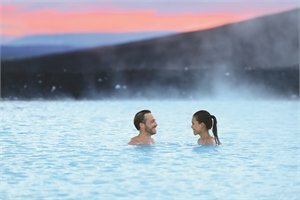 Travel to the otherworldly Lake Mývatn area and marvel at the volcanic landscapes and lava formations before relaxing in the geothermal waters of Mývatn Nature Baths (extra charge). 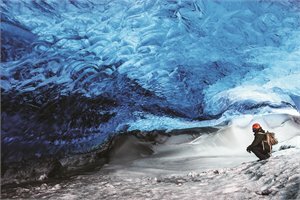 Head inside a glacier on the Into The Glacier tour and discover the untouched beauty and the icy blue heart of Langjökull glacier. Enjoy a well-deserved soak in the beautiful Blue Lagoon. PACKAGE TERMS & CONDITIONS: It is our policy to present the cost of our holidays inclusive of all airport and government charges. Please accept however that these charges are not within our control, therefore we reserve the right to pass on any increase.. Travel agent professional service fees where charged, will be additional to the advertised prices. Valid for sales to 31 Jul 2019. Valid for travel commenced and completed within the period 15 Apr 2019 to 31 Oct 2019 (unless otherwise specified).Deposit is required at the time of booking. Cancellation and amendment fees apply. All prices are subject to change or withdrawal without prior notice. Tours are strictly subject to availability. Prices are land only, airfares are additional. Prices shown are based on per person costs in New Zealand Dollars, for payment by cash, cheque or eftpos only. Credit card sales not permitted unless Travel Agent acts as a merchant. Events beyond our control such as currency fluctuations and changes to the price of aviation fuel may result in prices variations . Strict cancellation fees apply. Packages are based on consecutive nights. For full terms and conditions and cancellation fees please contact your local travel agent for more information. Trade enquiries via GO Holidays. Operated by: 50 Degrees North.